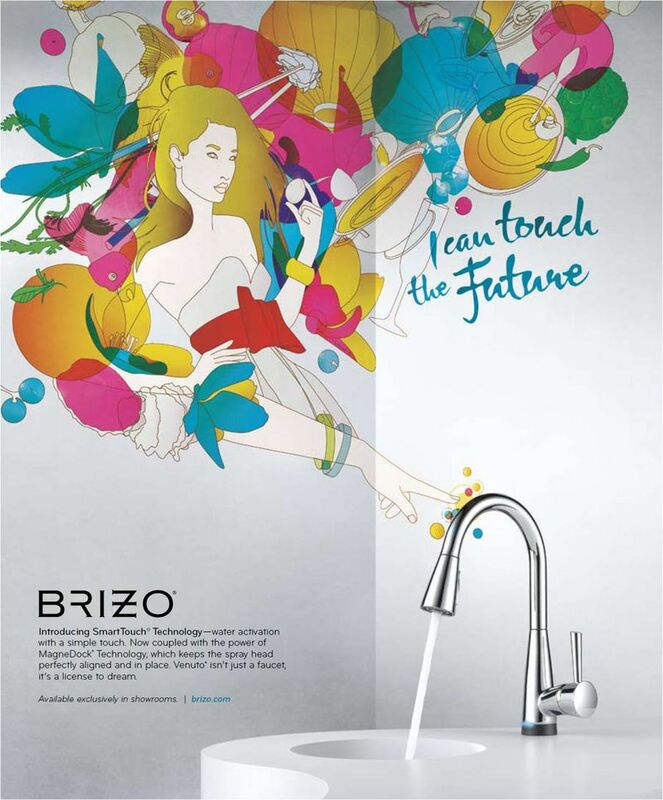 Home > Interior Design > The Interior Design Business > BRIZO….Every Product Tells a Story of Inspiration…. 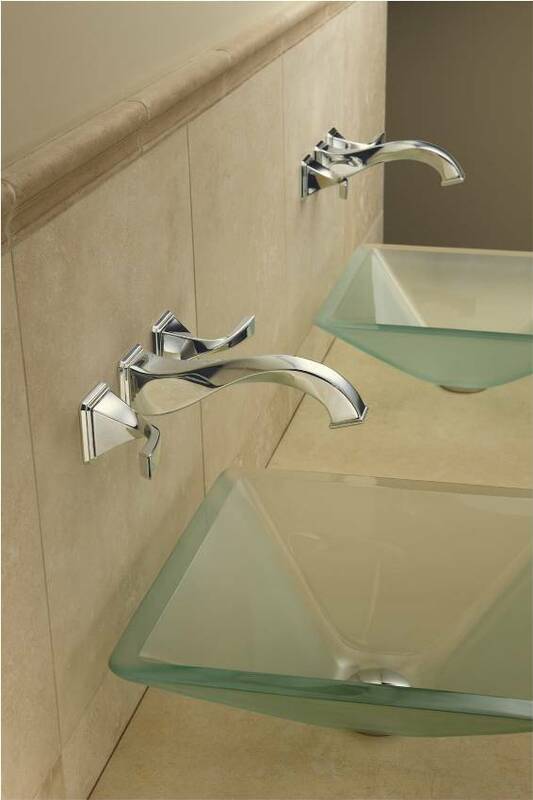 BRIZO….Every Product Tells a Story of Inspiration…. The purpose of this blog is to bring inspiring design to my readers and I cannot wait to introduce you to the fashion forward company, BRIZO. 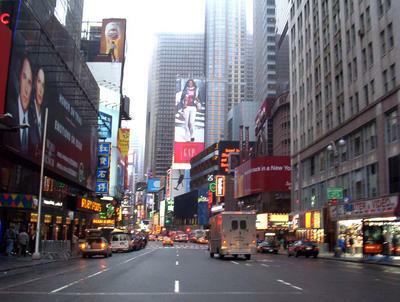 I just got back from spending three days in New York City with some of the best talent in design. Many thanks goes to BRIZO, for making this possible. 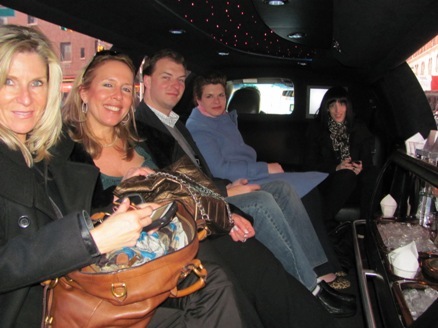 BRIZO flew all of us out to New York City for Fashion Week, with all expenses paid. The first night was a meet and greet cocktail party where we made fast friends. You’ll definitely want to read the blogs of these edgy designers, which I will list at the end of this post. 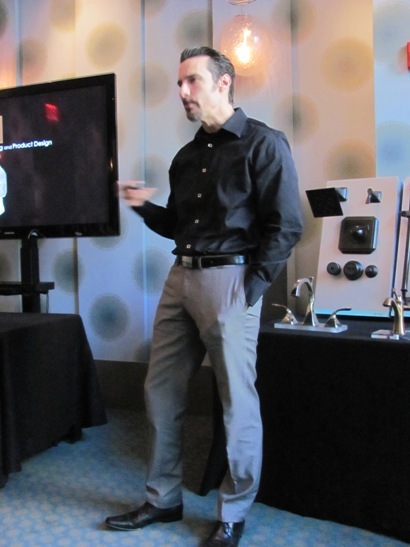 BRIZO created an informative introduction to their products and the team that creates them. 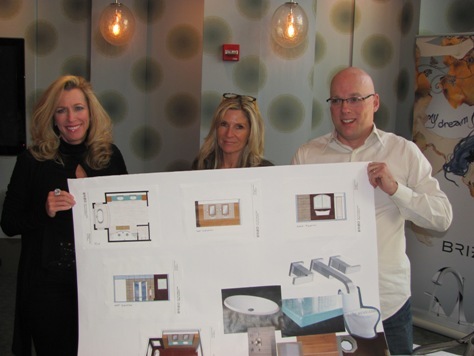 Judd spoke about how the design process works and flows at BRIZO. 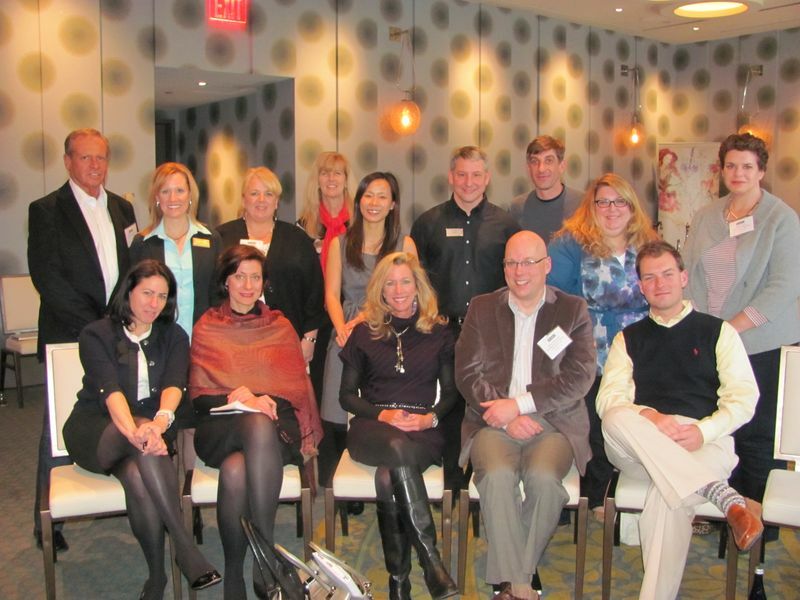 They methodically study trends all over the world to help them forecast the upcoming trends. I was fascinated while listening to Judd speak about his design inspirations. He said that while he was on one of his study trips to Europe, he was inspired by the beautiful wrought iron details that he saw. Those inspirations helped him to design the Virage. The Virage combines a modern edge with a touch of art deco styling. So, here we are in this room full of talented designers and the BRIZO team came up with an ingenious way to receive input from us all. 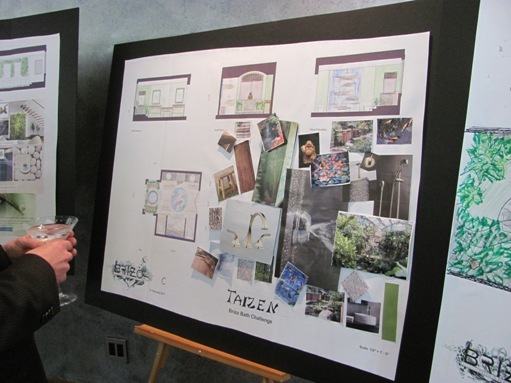 They broke us up into small groups in separate rooms where we each viewed prototypes of possible new BRIZO designs. Each designer was given a survey to fill out after viewing each group of prototypes. An open discussion followed for each design and information was gathered. I thought it was very clever of BRIZO to put together such a well-organized study group and I am proud to have been a part of it. My Think Tank group ROCKED! BRIZO then presented us with a lecture given by Architect, Sean Culman, AIA who spoke to us on the topic of biomimicry. Biomimicry (from “bios” meaning life, and “mimesis” meaning to imitate) is the examination of nature, its models, systems, processes, and elements to emulate or take inspiration from in order to solve human problems sustainably. I was fascinated by this topic and I plan to discuss biomimicry further in an upcoming post. After the lecture, we were all ready for cocktail hour when BRIZO threw us a pop quiz challenge. The challenge was to design a bathroom using biomimicry and sustainable design. Once we were given our group, we rose to the challenge and got busy, just like all great designers do. Team “E” for excellence, I love you guys! Congratulations to team “C” for their winning designs! 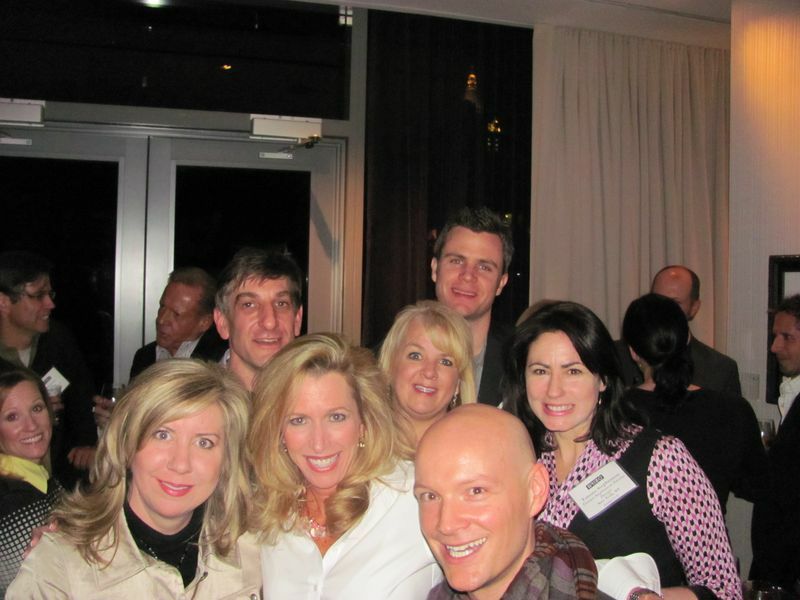 Team members, Roberta Kravette, Jennifer Rector, Richard Herb and Tamara Stephenson. The flashing of the paparazzi cameras came when we exited our limo at the fashion show, and so began our adventure into the world of fashion design. This black, elegant gown gracefully exposes the long legs of the model and shows just enough for a true “WOW FACTOR “. This is a regal ensemble, fitting any royalty stylish enough to wear it. How about that for “BLING”, girls? 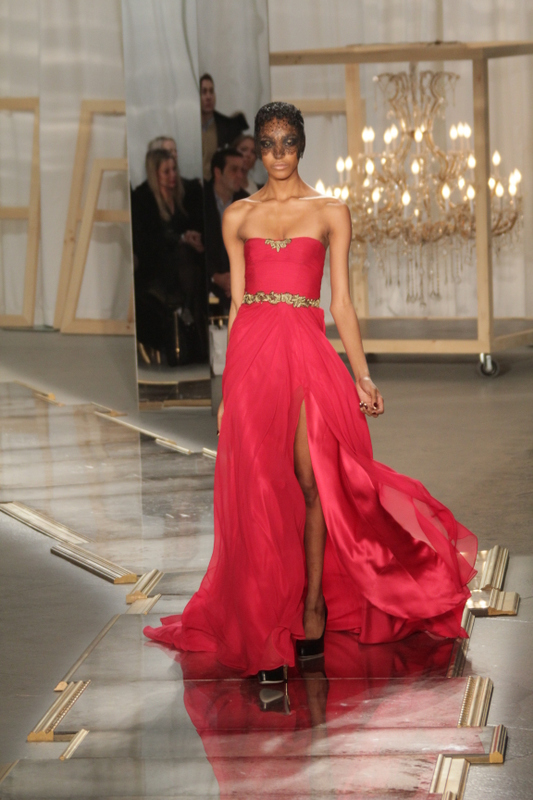 The lady in red brought the house down as the last design to walk down the runway! 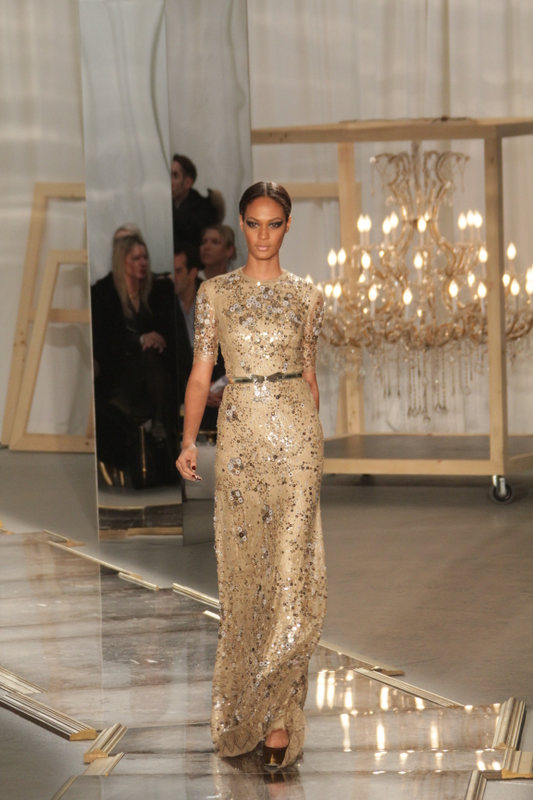 I am highly impressed with Jason Wu, as were the critics! It was an honor to meet this young star. His collection was awe-inspiring and I chose my favorites to share with you. 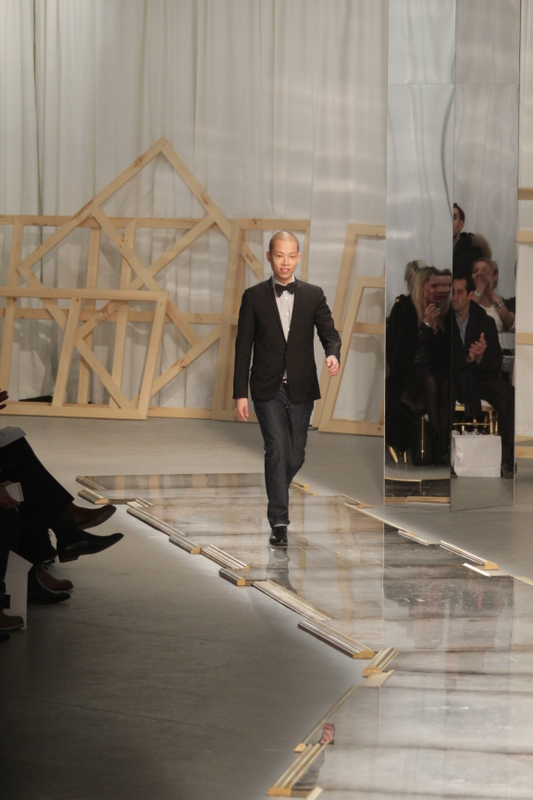 You can read about Mr. Wu’s fall collection in The New York Times, Style and Fashionsection. 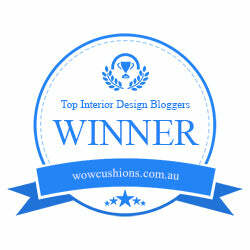 THE BEST INTERIOR DESIGNERS, ARCHITECTS AND BLOGGERS……. Please visit my network of design services…..
Part one of four…An Interior Design firms journey through the maze of SOCIAL MEDIA.